(TibetanReview.net, Jul19, 2018) – China has on Jul 18 published a white paper on what it calls ecological progress on the Tibetan Plateau region, saying it is still one of the cleanest on earth amid growing ecological awareness in the region. 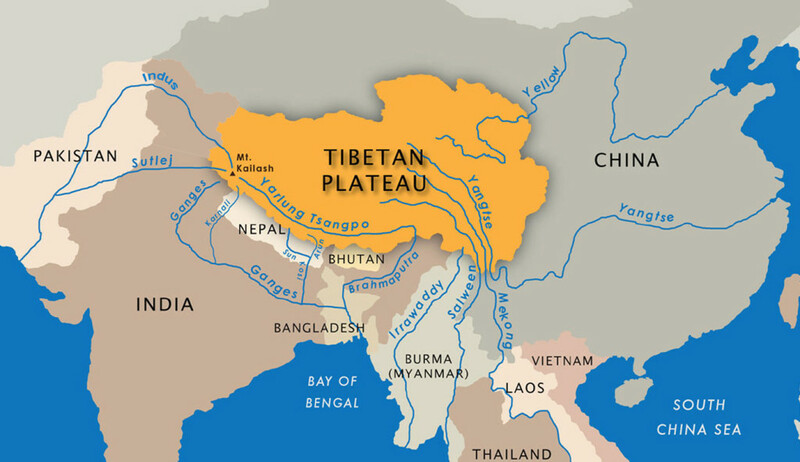 The exile Tibetan establishment, on the other hand, routinely accuses China of devastating the natural environment of the region through indiscriminate mega infrastructure building and resource exploitation projects, as well as through encouragement of massive Chinese immigration in a grand nationalistic design to reengineer the territory’s cultural and ethnic identity. “The Communist Party of China and the Chinese government have taken ecological conservation as a top priority, and regard protection of the Plateau as a vital task for China’s survival and development,” said the white paper published by the State Council Information Office, titled as “Ecological Progress on the Qinghai-Tibet Plateau”. China’s official Xinhua news agency, reporting on the publication, notes that the Qinghai-Tibet Plateau covers the entire Tibet Autonomous Region and Qinghai Province, in addition to parts of Sichuan, Yunnan, Gansu and Xinjiang. And at about 2.6 million square km in area, this is about the size of ethnographic Tibet over which the exile Tibetan establishment seeks internal autonomy. The furious pace of the ongoing large-scale air, road, and rail transport infrastructure building projects in most parts of ethnographic Tibet is routinely reported on by the official Chinese media. Also, having declared it a pillar industry, China keeps expanding its mineral prospecting and extraction projects in many parts of Tibet, resulting in devastating pollutions affecting Tibetan nomads and farmers, whose land is said to be routinely confiscated for these purposes. These are stated to have also resulted in massive influx of Chinese workers and entrepreneurs. At the same time protesting Tibetans have reportedly been arrested and jailed, and thrown off their ancestral land with only token compensation and no alternative means of livelihood. Nevertheless, the white paper says, “The Qinghai-Tibet Plateau has a low intensity of human activity. The air quality is little impacted, the types of pollutants are few and the density is low, and the content of pollutants is similar to those at the North Pole”. It says that of the 96 key cities of the PRC whose annual density of particles met relevant standards in 2016, 16 were located on the Plateau. It also says that by 2017, 10 counties, 173 towns and townships, and 1,924 villages in Tibet Autonomous Region had been designated as models of eco-preservation at the provincial level.